QUALQUER PESSOA pode apresentar uma sessão técnica ou científica (e.g. "como funciona a tecnologia X"), uma apresentação de negócios (e.g. "elevator pitch") ou até uma dissertação académica. Este workshop GRATUITO ajuda os participantes (oradores iniciantes) a melhorarem, tanto a nível de "presentation skills", como a nível de "technical skills". 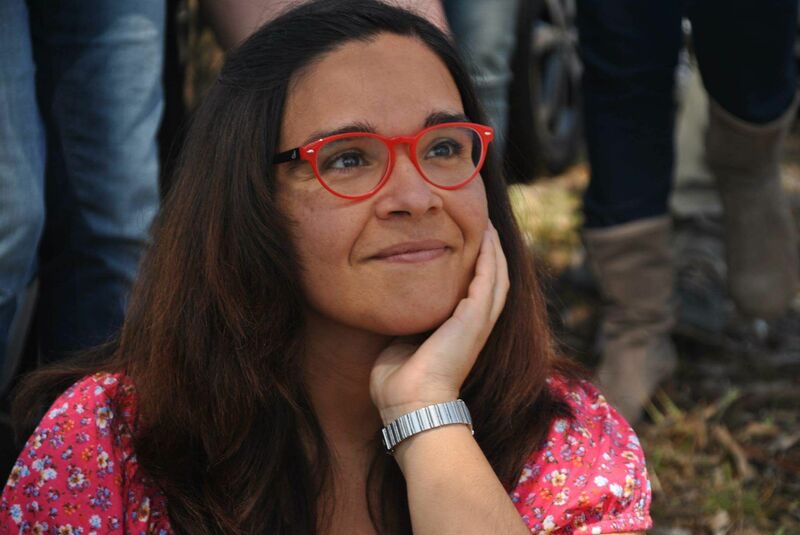 Temos mentores com muita experiência a nível internacional, que se voluntariaram para ajudar cada um dos participantes, oferecendo conselhos e ajudando a melhorar as suas apresentações. No final do workshop serás especialista em fazer apresentações em público! Os mentores deste workshop são também organizadores de vários eventos técnicos e comunidades técnicas (em Portugal e não só), e estão sempre à procura de novos oradores. • Após o evento, haverá um jantar livre para os participantes. Após inscrição, os participantes receberão um mail (com 1 semana de antecedência) com informações relevantes e conteúdos preparatórios. Reason for being involved in workshop: I'm an organiser for several user groups and events, as well as speaker at 100+ international conferences in the last 3 years. In our user groups, we've been coaching new speakers for at least 3 years, and we'd like to get more speakers to join us spread knowledge and have fun doing it. Reason for being involved in workshop: Participating in community meetings. About Ricardo: Ricardo Cabral is a Technical Engineer and also Microsoft Certified Trainer (MCT) and IT Consultant. In his free time, he is actively participating, volunteering and/or speaking Portuguese community meetings. He is one of the co-founders of IT Pro Portugal and PowerShell Portugal user group. Ricardo is interested in technology with over 14 years of experience in IT management, development and projects. He is an authentic self-taught man. Ricardo holds a Degree in Computer Engineering from Universidade Autónoma de Lisboa. Reason for being involved in workshop: For ages I went to usergroups and learned a lot, but the "impostor syndrome" was strong with me and never gave the move to be one of the speakers. Then someone grabbed me and "forced" me to step up and give a talk about "anything". Since that moment, being on stage is one of the best things in my life. About António: Having fun since 1974, and learning what I can on the way. Currently a Data Architect at Link-Redglue, surrounded by a fantastic team that makes me a better guy. I'm a passionate learner and the best way to learn more is to teach more. At tech, all started at eleven with BASIC. I have background on Electronics and later Computer Science, my experience is diverse with more focus on IT Management. At present my kicks are my lovely family, creating good and fast T-SQL, having beer with friends and trying to optimize all the things in my life. Reason for being involved in workshop: I want to help/share some thoughts on how to engage people for a successful communication, while having fun doing it. 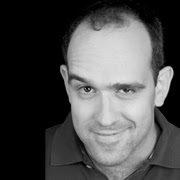 About João: João Dias is an Actor, Improviser, Astronomer, Science Communicator and he also fries eggs. He faces a big dilema in life: whether to talk about stars in Ciência Viva Agency or to be one on stage. In the meantime he promotes science in the schools in collaboration with the European Space Agency and teaches Improv in a Drama School. Besides collecting chickens, of course (the eggs are never enough). Reason for being involved in workshop: I would like to contribute with diversity as much as I can, as this is such an important topic nowadays. 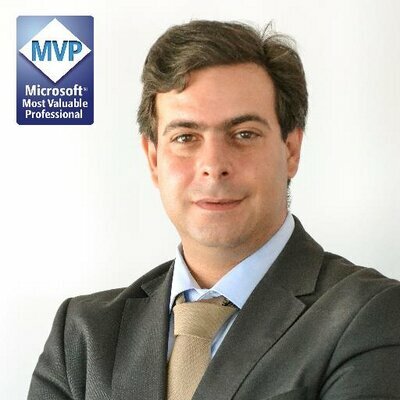 About Murilo: Murilo Miranda is a blogger, speaker and SQL Server MVP from Portugal. Nowadays he's a Database Consultant at Pythian, a global data infrastructure services company. Murilo’s passion for working with people coupled with his honesty have helped him establish effective, meaningful relationships with his clients. When he isn’t working, he can be found enjoying life with his family, watching football and playing Playstation. Reason for being involved in workshop: I like to mentor young people to help them to stay better presenters. About Nuno: Architect Manager at GFI Portugal – Modern Workplace Lead – Microsoft Solutions Architect – MVP Office Apps and Services, Windows Insider MVP and MCT at GFI (Microsoft Gold Partner) for Microsoft Office 365, Exchange, Private Cloud, Infrastructure, Active Directory, SQL and Auditing Microsoft Products, support at pre-sales and sales areas. Specialist in Office 365, with a focus on Exchange, Virtualization and System Center: With more than 20 years’ experience in Datacenter Architectures, Nuno has 30+ certifications (MCT, MCSE, MCITP, MCSA and MCTS among others). Experience in enterprise environments: He has worked several industries, including Aerospace, Transportation, Energy, Manufacturing, Financial Services, Government, Health Care, Telecoms and IT Services, Gas-Oil Company in different countries and continents. Assisted Microsoft in the development of workshops and special events and case studies, and as a speaker at several Microsoft events. Contributes with several articles and publications in various blogs and communities. Author of Office 365 Essentials Book. Please show your e-ticket / printed ticked (from Eventbrite) at the gate. Por favor apresenta o bilhete electrónico / impresso (do Eventbrite) na entrada. Although the parking is guarded, do not leave valuable items in the car. The venue and the organisation of the event are not responsible for any damages/thefts. Embora o parque tenha segurança, não deverás deixar bens no carro. O ISEG e a organização do evento não se responsabilizam por furtos/danos. Please bring your e-ticket / printed ticked (from Eventbrite). Please contact the organisers if you need childcare assistance (we'll try to help). Please contact the organisers if you need a quiet room (we'll try to help). Depends on the room. Please contact the organisers if you need special assistance (we'll try to help). Yes. There are also shops.